So, I'm slowly but surely making progress in the camper. The curtains are done! I wanted them to be lined, but I didn't want to purchase more fabric. I decided to use the white lining from the original curtains and it worked out perfectly. I used Velcro to attach them to the camper windows, making removal for storage and cleaning super easy. And here's my favorite new addition to the camper. We're almost done, so the next post will be the big camper reveal. Are you feeling the excitement? I sure am! 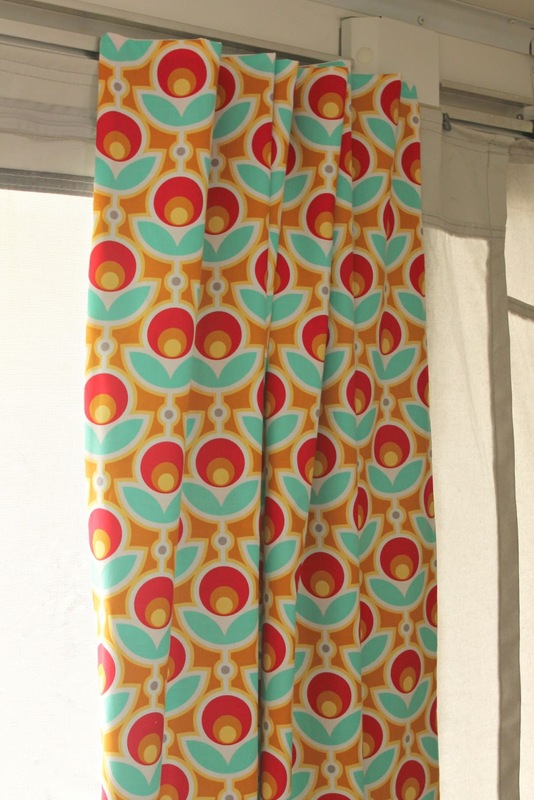 I like the fabric you picked out for the curtains is bright and cheerful. It is like a dose of sunshine! Looking forward to the reveal. 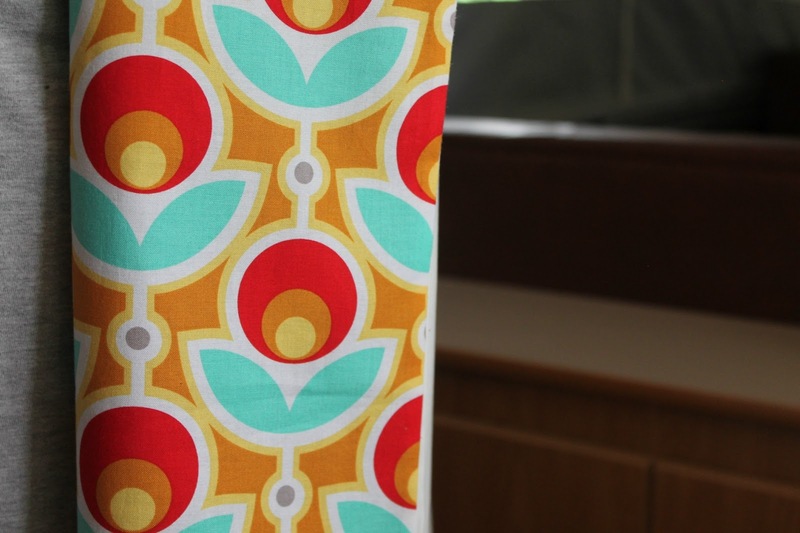 Holy Smokes, I LOVE that fabric!!!! Good thinking to line them, you'll appreciate it when you're camping, but especially when you get home, and have a camper full of dust (at least, that's what happens to us)!! I'm getting SO excited to see the progress!!!!! I love the fabric and the new addition!! !...and YES I'm excited to see the reveal!!!! 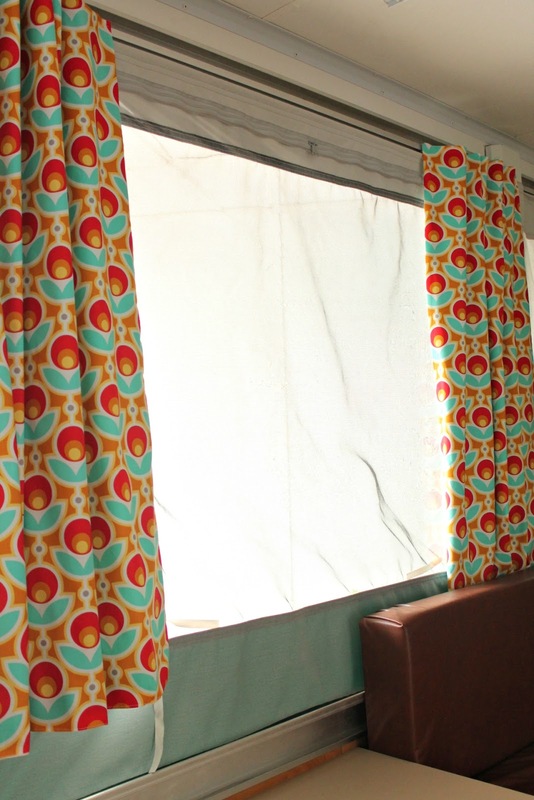 Love the curtains... the fabric is beautiful.. Have fun. Nice curtains. We are so glad you shared with us at Merry Monday. I hope to see you at the new party beginning tonight at 9pm EST.